Drummond Central have delivered fantastic workshops on ‘Social Media for Social Change’ and are continuing to offer their support for feedback for our campaigns. Turncoach was founded by Ali Donkin, who has immersed herself in positive psychology and coaching for over two decades. From the personal and professional benefits Ali has experienced, she is on a path to share her knowledge with those in pursuit of a more fulfilled life by providing 1:1 coaching, workshops and group work, tailored to your particular needs. As part of the #iwill project, Turncoach have delivered a fun and interactive workshop on Teamwork and how to make the most of personality types when carrying out a campaign. You can contact Ali on 07917 605222 or email ali@turncoach.co.uk. 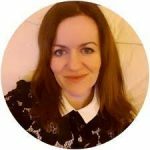 Carrie Brookes is a freelance communications consultant providing website, email marketing, content and strategy services for charities. She has delivered a dynamic workshop on ‘Blogging for Beginners’ as part of the #iwill project and has also offered her continued support as the campaigns develop. Thank you for your booking: #iwill Partners and Workshop Providers. We will be in touch soon to confirm your place.